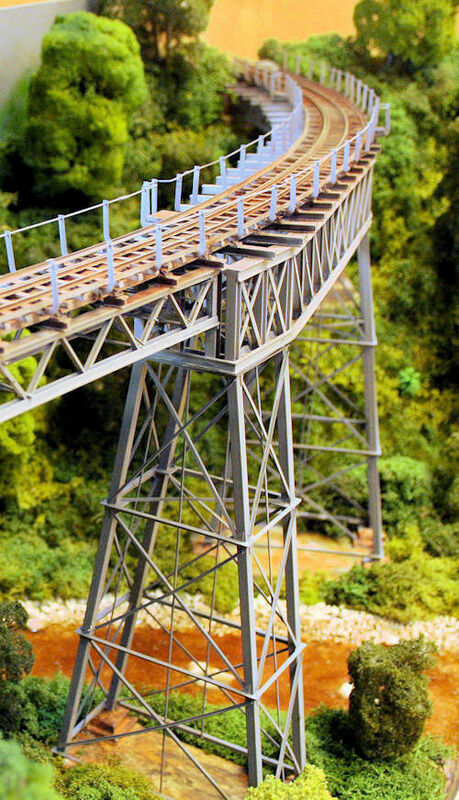 Moa Crossing Viaduct is a small diorama layout of part of the Sierera Leone Government Railways modelled bv Barry Witham in Sn2.5 Gauge. 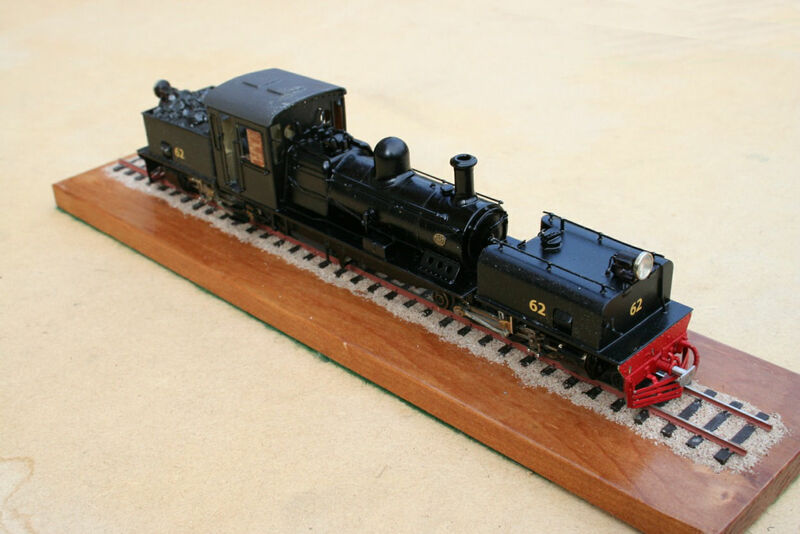 The Sierra Leone Government Railways Beyer Garratt that is the motive power for the layout. You can read how Barry built this locomotive from scratch in the SSMRS Gazette. The real loco was one of a class of 13 locomotives built for Sierra Leone in four batches between 1926 and 1943. They were small but powerful engines with a 5 ton axle-load. SLGR number 62 was the last of the class built for Sierra Leone in 1943. Two more were built for Nepal. Below is Sierra Leone Railways baggage and Post office van 382. It was one of eight owned by the Railway. The Post Office part was literally a travelling post office where, as well as retrieving and sending letters and parcels, one could also buy and cash postal orders.